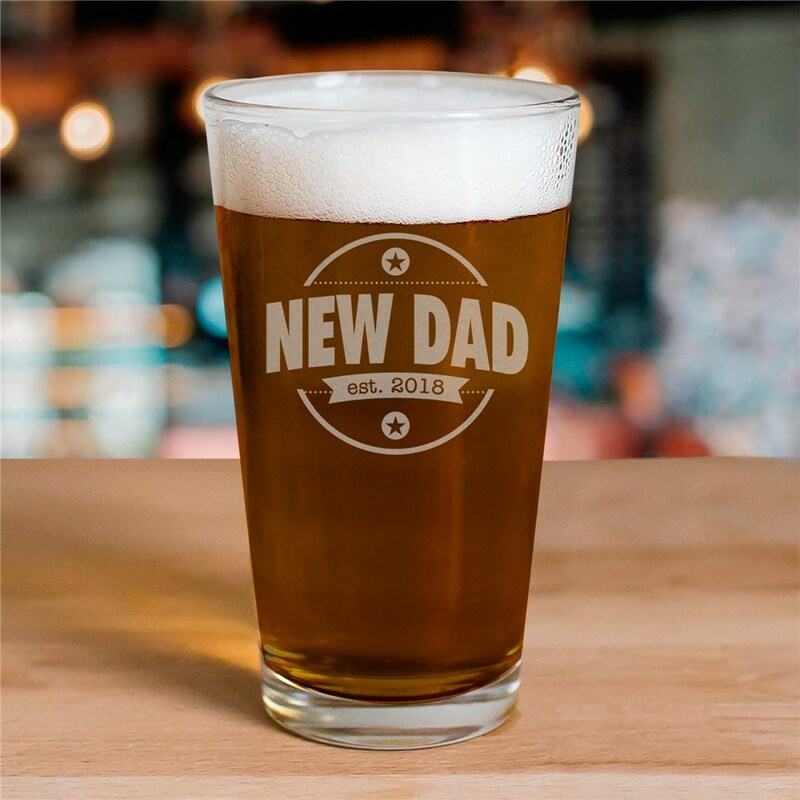 He will drink his favorite beer with pride with his new Engraved New Dad Beer Glass. We will skillfully engrave this Engraved Pint Glass any title and established year . Makes a great gift for any new Dad, Uncle or Grandpa!